It’s sad news when a dog loses the opportunity to live up to their potential. Nova is a young pit bull mix who recently said goodbye to her future as a police K9 because of her breed. iHeartDogs was contacted by Kayla Murray with Austin Pets Alive! Who shared Nova’s story with us, and our hearts broke for her when we heard that she had lost her chance to protect and serve. “Nova is a 2-year-old pittie mix who just completed her narcotics detection training at the Universal K9 (UK9) training facility in San Antonio. She was ready to be paired with a law enforcement officer but unfortunately, UK9 was raided by the FBI this week on suspicion of fraud. 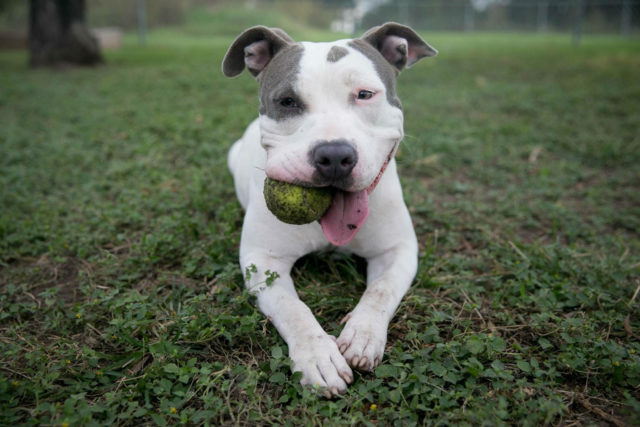 Along with 25 other dogs, Nova was taken to San Antonio Animal Services, where they used her microchip to connect her to Austin Pets Alive (APA). APA called her volunteer champion, David Loignon, and he picked her up in San Antonio and took her back to APA. “Nova completed her training last month and was waiting for the next class of handlers so she could be matched with a law-enforcement officer. Sadly, that will no longer happen through UK9. Sadder still is that she could potentially lose all the training due to her being a pittie. While David was picking up Nova, a team from the U.S. Air Force was evaluating several of the UK9 dogs for their law enforcement teams. David asked if they had evaluated Nova, and was told that the Air Force does not accept pit bulls. Nova is a sweet girl, with a huge heart, who loves everyone she meets. What a waste of drive, talent and skill, all due to her blocky head and stocky body. Are you interested in fostering or adopting Nova? Or perhaps your local law enforcement agency is looking for a new K9? 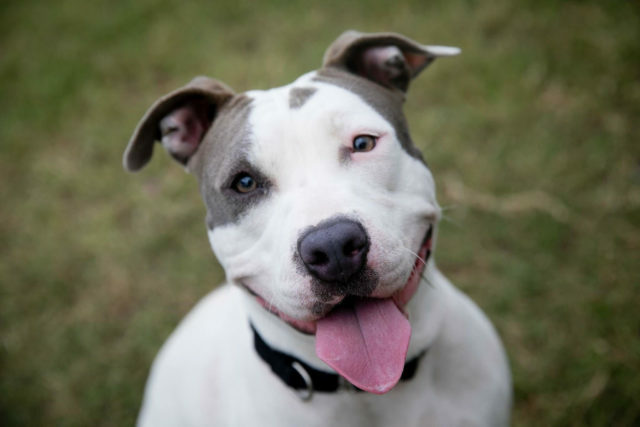 Contact Austin Pets Alive! for more information about Nova.